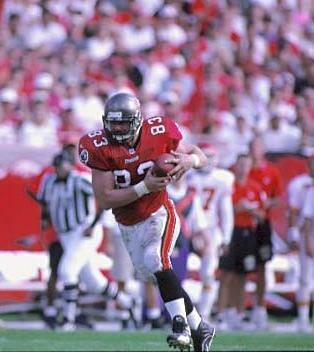 BUCS: Dunn 18-66, Alstott 16-33, Dilfer 3-1. 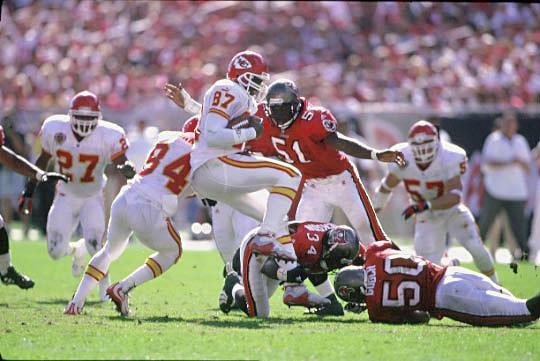 CHIEFS: Shehee 10-54, Bennett 9-23, Richardson 2-7, Grbac 1-3. BUCS: Green 7-164, Moore 3-56, Anthony 3-28, Dunn 2-11, Alstott 1-7, Hape 1-4. CHIEFS: Alexander 7-41, Gonzalez 6-62, Horn 3-63, Shehee 3-8, Lockett 2-26, Richardson 2-2. 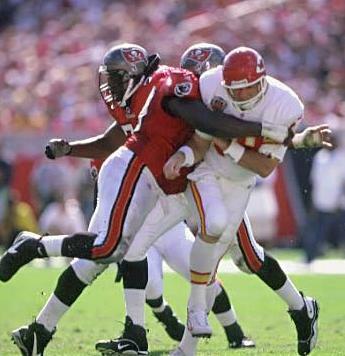 BUCS: Abraham 1-9, Sapp 1-9. 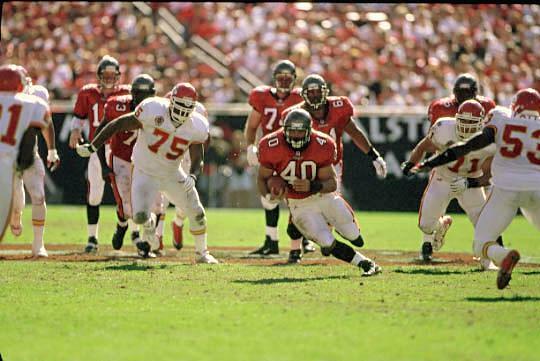 The Bucs did their best to lose this one with six turnovers including three fumbles by Mike Alstott. 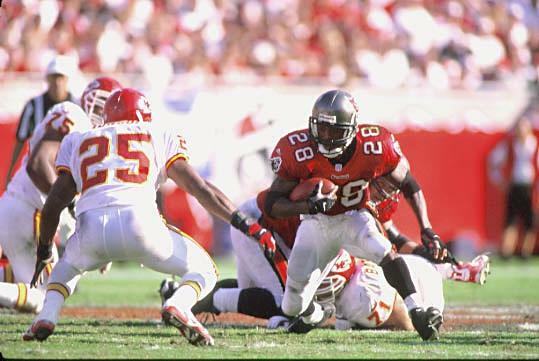 Fortunately Hardy Nickerson came up with an endzone interception with 28 seconds remaining to give the Bucs their second win in a row.